↑ а б Neveux, François. 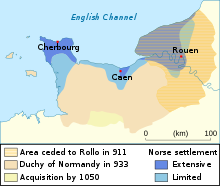 The Normans. Constable & Robinson, 2008. с. 5.
of St. Quentin, Dudo. Gesta Normannorum. The orb. , English translation. The Normans, a European People. European Commission. .
Breve Chronicon Northmannicum. Storia online. . 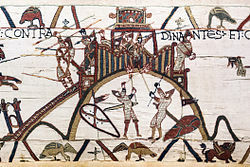 The Normans. Jersey heritage trust. .
Wales History. UK, The BBC. .
Kelly, Patrick. 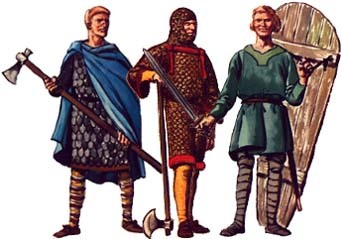 The Normans: their history, arms and tactics. Последната промяна на страницата е извършена на 22 април 2019 г. в 19:28 ч.